5 Words: Family, love, friendship, loyalty, memories. I am going to try to keep this spoiler free, so it will be brief. But go buy this book. 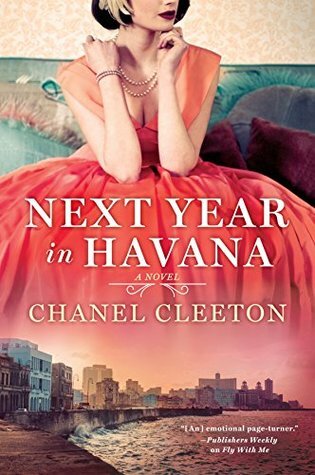 Next Year in Havana is the loveliest blend of past and present. It is written beautifully, rich with imagery. The little details really make the settings come to life, whether it's Cuba during the revolution or in the present day. I loved how the story was split, how secrets were revealed. I loved the exploration of family and friendship and loyalty. The intense politics surrounding everything made everything instantly more dramatic (in the best way). There's a touch of the forbidden to the romances that makes them all the more enticing. There was something about this book that seemed to heighten my emotions. I felt more when I read it, I felt deeper and more profoundly. I think it's a combination of the writing, the setting and the characters, all coming together. Honestly, this book is amazing. It was absolutely wonderful. There are glowing reviews everywhere and it deserves them. Lovely review and the book seems really interesting! I've never read anything about Cuba before (Marisol always reminds me of the Fistful of Dollars film with Clint Eastwood, haha!). This sounds really interesting though, I love books that are set in the present day and also in the past. Great review, thank you for sharing!